A new drama tracing the competition between legendary basketball stars Magic Johnson and Larry Bird. What Is the Story of Magic/Bird? Magic/Bird traces the fascinating relationship on and off the basketball court between Los Angeles Lakers star Earvin “Magic” Johnson and Boston Celtics great Larry Bird, which began 30 years ago when they led their midwest universities to the 1979 NCAA Championship game. The two went on to dominance in the NBA, winning three MVP awards apiece and a combined eight NBA titles. Though sharing Midwestern roots and following the same team-oriented philosophy, the introverted Bird (from the small town of French Lick, Indiana) and the extroverted Johnson (from industrial Lansing, Michigan) couldn't be more different in personality. But during their illustrious NBA careers, Johnson and Bird, went head to head, electrified the nation, reinvigorated the NBA, and turned their rivalry into the greatest and most famous friendships in professional sports. This is not really a play so much as a salute to two sports heroes of yesteryear. Their love of the game and honorable behavior toward each other despite their rivalry on the court now makes them stand apart from the contemporary stereotype of the arrogant, overpaid pro athlete, living large and chasing celebrity tail. Simonson’s script is best when he’s telling the private moments that cameras never caught: This is the story of Johnson and Bird as bitter rivals who grow to become friends. With classic NBA film footage running on a huge screen in the background, Magic/Bird transports the audience into the heart of the matchup between Magic Johnson and Larry Bird, from the draft to their participation on the 1992 Olympic Dream Team. In addition to the actors who portray Magic and Bird, the fast-moving, one-act production features four actors who portray numerous characters from Georgia Bird and Pat Riley to Red Auerbach and Bryant Gumbel. Interweaving video material of historical basketball matches, press conferences and even the infamous Converse commercial the duo shot in French Lick, Indiana, with live action onstage, audiences are given a fresh and entertaining perspective of well documented moments in sports history. Is Magic/Bird Good for Kids? 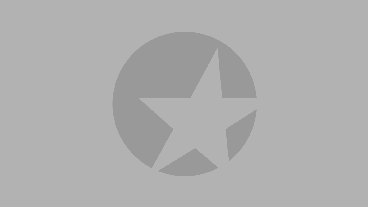 This sporting event is ideal for kids and basketball fans alike. Although Magic/Bird deals with the seriousness of Magic Johnson’s HIV diagnosis, audiences should expect the environment at the Longacre Theater to be similar to one they would find in an actual NBA arena. Theatergoers come to Magic/Bird dressed in NBA jerseys of their favorite teams and other festive garb to show support for the actors onstage as they get into the game. 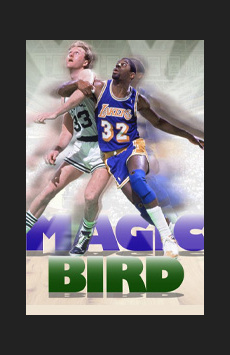 You don't have to be a basketball expert to enjoy the story of Magic/Bird.